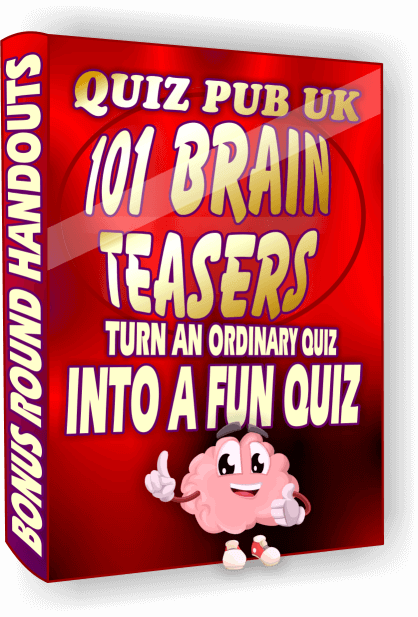 All the printable quizzes further down the page come with Gambit, our most popular game show to finish the quiz and they're all only three pounds each, unbelievable, I know! Yours in seconds via instant download. 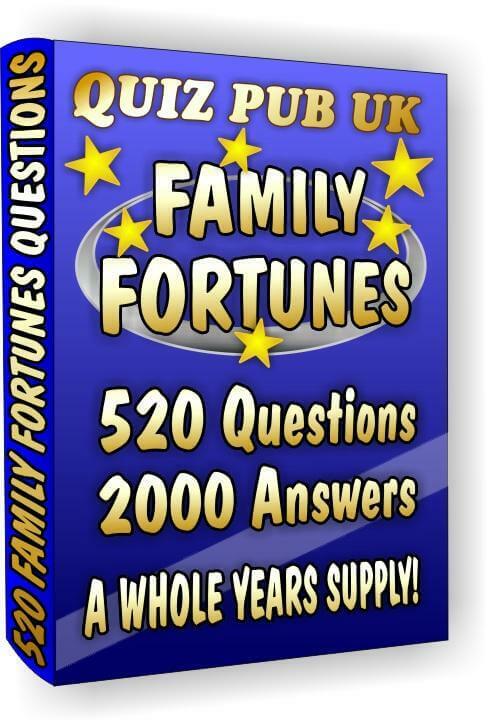 Our printable quizzes now have a superb game which we've called Gambit and it's based on the prime time TV show 'The Million Pound Drop', it took quite some time to think of a game to replace Family Fortunes and Gambit has turned out to be very popular indeed. As you know by now the end game is critical in making sure that anyone who plays these quizzes has as good a chance as anybody else. We get emails every week from satisfied customers who tell us what a great idea this round is and how much their quiz teams love playing it. 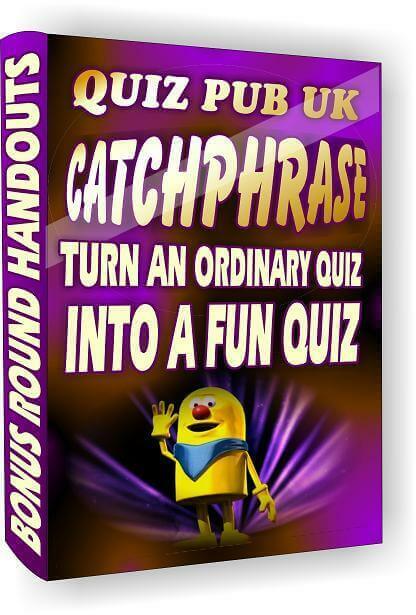 The great thing about our quizzes is that you won't get the same team of clever cloggs winning all the time, this is crucial if you want your customers to keep coming back week after week. You are really going to enjoy these quizzes. At the bottom of this page is a short article I wrote for anyone who has never watched the TV show so they can get a better understanding of what Gambit is all about. We use Paypal to process payments because it's safe and secure. 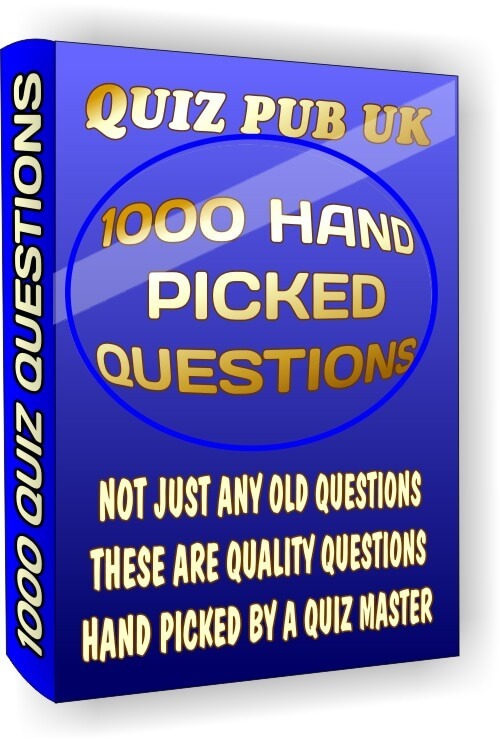 You do not need a Paypal account to buy these printable quizzes if you don't have one but you will need a credit or debit card. All the above quiz packs are a download, they are not physical objects until you print them, you will also need a computer and a printer. First shown on Monday the 24th of May in 2010 and hosted by Davina McCall 'The Million Pound Drop' is an extraordinary game show where contestants can win or lose life-changing amounts of money live on TV. There were 11 series made during it's 6 year run but Channel 4 decided to axe the show in 2016 because they wanted to save money. The show's creators 'Endemol' looked for contestants by using social media websites like Facebook and Twitter, the idea was to create a buzz by trickle feeding the followers with small bits of information about upcoming auditions. The game was mostly played with couples taking part although there was a single player in the very first series, the game has been changed a lot over the short period it was aired with teams of 4 and even teams of teams taking part. They made a big deal out of pointing out that the show was live and to prove it a lot of the questions were about current events, some of them from the same day or even happening at that moment. 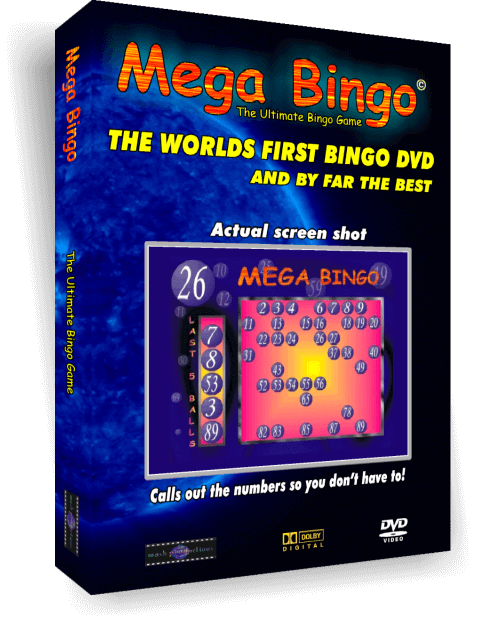 You start the game with 1 million pounds in 25 thousand pound bundles that have to be gambled on a set of 7 questions. You are given a multiple choice question with 4 possible answers that are displayed on trap doors in front of you. You have a limited amount of time to place all of the money you have on one or more of the answers. The only rule is that you must leave one trap door empty each time making it possible to lose all your money on any given question. To stay in the game players tend to hedge their bets by putting most of the cash on the answer (trap door) they are confident about and placing smaller amounts on the other trap doors just in case they're wrong. Once all the bets have been placed the trap doors with the wrong answers are either opened all at the same time or one at a time for more suspense, any cash that falls down a trap door is collected by security guards waiting below. It's quite dramatic. Although no one has ever walked away with the whole 1 million pounds there have been plenty of really big winners with two teams winning 300,000 and lots of 200,000 pound winners. Watch this short movie clip to find out how much Johnny and Dee won on The Million Pound Drop.